This article is about a town in Ecuador. For the song of the same name, see Cumbayá (song). Not to be confused with Kumbaya, a song. 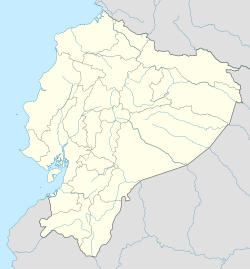 Cumbayá is a rural parish of the Metropolitan District of Quito in the Pichincha Province, Ecuador. It is located east of Quito, in the Tumbaco Valley northwest of Ilaló volcano, in the valley San Pedro River, a tributary of the Guayllabamba River, at an elevation of approximately 2200 m (7200 ft) above sea level. Because it is at a lower altitude than Quito, it has a warmer climate (about 2 to 5 degrees Celsius higher on average). In recent years, the parish has become a commuter town of Quito as a significant number of middle-upper and higher class families moved from the city to live a more suburban lifestyle. A significant amount of expensive and luxurious properties of Quito can be found in Cumbaya making it the highest income area in the country. This shift in population has attracted investors and entrepreneurs to the area, boosting the local economy.In 2017 there has been a lot of commercial activity centered around restaurants ranging from food trucks to gourmet-style places. The town is also characterized by many gated communities that vary in size and wealth. Weather is semi tropical year around, with a short rainy season. The Túnel Oswaldo Guayasamín, the longest vehicular tunnel in Ecuador at 1.5 km in length, connects the parish with the Iñaquito urban parish of the city of Quito. This page was last edited on 27 September 2018, at 05:15 (UTC).